Before I visited Bath this past month, I had thought of the town as a quaint English town that would have adorable neighborhoods, beautiful buildings, and wonderful places to stop and enjoy a marvelous cup of tea. And the town did not disappoint. But it did have a surprise for me. I never associated Bath with rugby. The team is quite good and they have won the Anglo-Welsh Cup and the Heineken Cup. It was founded in 1865, making it one of the oldest clubs that still plays. I didn’t get a chance to watch a match, but I did partake in tasting a brew that supports the Bath rugby team. 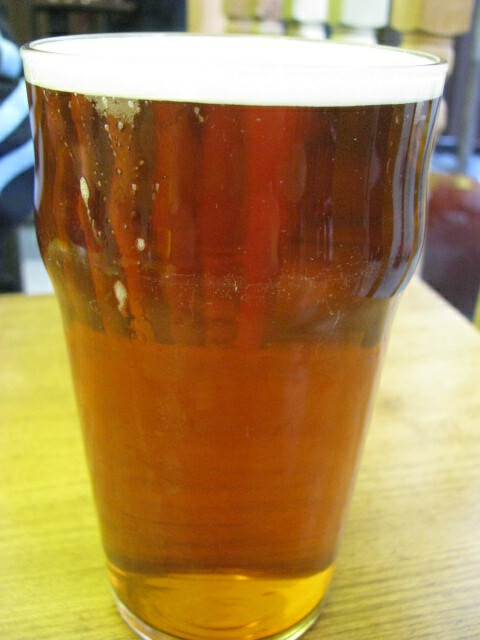 Bellringer, aptly named, is a cask beer and it was first created in 1997. So if you think Bath isn’t your speed since you don’t like Jane Austen or you don’t like tea, think again. And I suggest the beer. Rugby players know their beer. 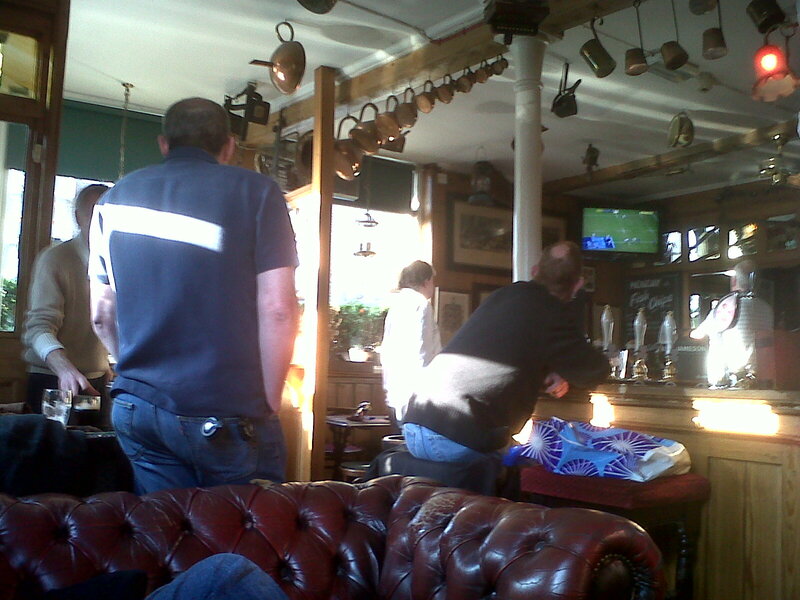 The next day I was at my local pub and a rugby match was on the telly. It wasn’t Bath playing, but I still got a kick out of watching the match. Slowly I am figuring out the sport. I got a bigger kick out of watching the locals watch the game. This entry was posted in Travel and tagged Anglo-Welsh Cup, Bath, Beer, Bellringer, English Pubs, English Towns, Heineken Cup, Jane Austen, Photography, Photos, Pubs, Rugby, Tea, Travel, Travel Blog, Travel Journal. Bookmark the permalink. 6 Responses to Really? In Bath? Austen is one of my favorite authors!!! She’s my favorite author. I absolutely LOVE every one of her 6 novels especially Northanger Abbey. Northanger Abbey loves Bath. Catherine was there for like, half the book. I plan on reading Northanger Abbey this fall. I want to read and reread all of her works and then head back to Bath to visit the Jane Austen center. I think that will be fun. I’m also planning on reading Emma this year as well. I just don’t know why…..